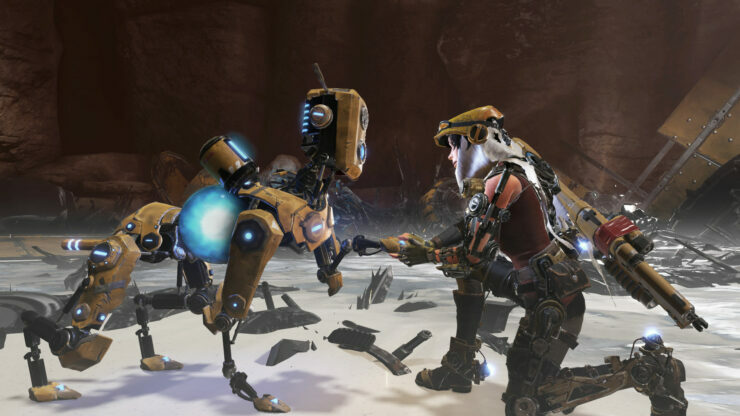 ReCore, the action-adventure title released a few months back on PC and Xbox One, has received an update shortly after release fixing some of the issues plaguing the game, such as excessively long loading times and more. Another update seems to be in the works, however, and we have recently learned what it will include. A few hours ago, Xbox’s Mike Ybarra confirmed on Twitter that an HDR update for ReCore is coming. Not much else has been said, so we don’t know if the feature will be introduced only in the Xbox One version of the game or if it will also be added to the PC release. Microsoft’s Shannon Loftis provided some additional details on this future patch, confirming it will be coming next year. Despite some of its shortcomings, I thoroughly enjoyed my time with ReCore, as I noted in my review from a few months back. With a well written (albeit not exactly original) story and a nicely crafted gameplay experience featuring plenty of content, ReCore is the game to get for those looking for an involving action adventure title. Sadly, the experience is a bit lessened by the generally low challenge level, which makes Corebots mechanics almost superfluous, slightly repetitive combat, disappointing boss battles and a variety of technical issues. ReCore is not Super Metroid at all, that’s for sure, but it’s definitely a very good starting point for a franchise that might even become big with the right tweaks. ReCore is now available in all regions on PC and Xbox One. We will let you know when the HDR update will launch as soon as more comes in on it, so stay tuned for all the latest news.